I remember the time I wanted to host a website that I’d advertise to the world. My first thought was – wow, that’s going to be expensive. I’d need to design the website, host it, and add content to it regularly if I were to succeed. But when I started following my dream, I realized that it wasn’t nearly as expensive (or complicated) as I initially thought. A lot of blog posts helped me understand that web hosting is surrounded by a lot of myths and beliefs that aren’t true. They may have been true back in the day, but at the moment, things aren’t as they were in the past. You don’t need to create a website with a lot of active elements and a lot of content; you need an attractive website with interesting content. Remember the websites of old which had low-resolution animations? Yeah, those aren’t what people want anymore. And that’s the whole truth – people don’t want a lot of the things from the past. Right now, you could make a minimalistic website that everyone would love. For example, check out a review of iPage. 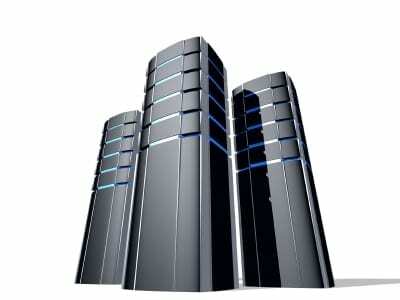 It is a web hosting service. They might not be globally recognized, but the services they offer are top notch. So, what else isn’t fact anymore due to how times have changed? Here are five myths about web hosting that was once true; but aren’t anymore! Okay, so this is partially true, but only if you’re looking to host a website that millions upon millions of users would visit weekly. Since you probably don’t aspire this from the get-go (and instead want to take things slow like any slightly experienced person would), this myth is false. See, web hosting nowadays doesn’t cost a lot. When I opened up my website to the world (which has since been taken down due to hosting expiration), I used a specific hosting service that cost me only $60 yearly. Of course, my website couldn’t handle extravagant numbers of people visiting but, for my purposes, it was more than enough. There was absolutely no reason why I would pay a lot more for a website that had around 100-200 visitors – monthly. To summarize, web hosting has gotten a lot cheaper and will, over the years, cost even less than now! The cheapest web hosts usually serve the purpose of offering you a mockup version of your website (so you can see how everything works). There are also free web hosts which are also used for this. The downside is that they’re usually reasonably weak in terms of what they can handle and how much traffic can go through without crashing the website. A year or two back, when I was a student, we’d create websites that would be hosted on free domains. So, technically, if you want to see how your site acts before you host it somewhere else – try a free domain. However, the myth here is that cheap web hosts aren’t good. False! Some web hosts that offer hosting for cheap are reliable and good enough for what you’re looking for when you’re just starting with your website. Word of advice though: Research extensively! The truth is, you can make money with your website through various means. One of the most common methods of getting a financial return is through advertising. Google Ads are some of the most powerful ways to make money through your website but – you’ll need a large enough audience. See, in this case, you’d make money through clicks. Extra finance is given if the customer/visitor purchases what is advertised. So, if you have ten people visiting your website daily – it might not be enough. But if you have 1,000 – you might end up with some tangible financial returns! You don’t. There’s nothing you’d need to know in the IT sector that would give you ‘skills’ related to hosting your website. All you need to do is find a good web hosting service and click things. Yes, it’s that simple! I also used to think that I’d need some guidance from a couple of friends that were in the IT business, but all they told me is that it’s simple as 1-2-3. And there’s a good reason behind this – if everyone needed IT knowledge, how many websites would be online right now? Probably less than 15% of the currently existing ones (or even less when you think about it). So, technically, the simpler it is, the more people would opt for hosting their websites! How many times have you stumbled across an unlimited hosting plan that offers unlimited space, unlimited traffic functionality, and so on? Quite a lot, I presume. Well, the truth is, there’s no such thing as unlimited. The technology for this doesn’t exist, and the only reason you can see such ads is because… well… they’re ads. They’re meant to reel you in and ‘force’ you to select a hosting plan that costs more just because they claim it’s unlimited. Don’t fall for this trick! Thanks for sharing your valuable content. This post has covered so many topics about web hosting. Thanks for sharing this! I’ve actually gone with siteground and the customer service has been excellent. The price is going up this year which i’m not happy about. Unlimited is one of the biggest myth in terms of hosting. It is just to attract users, nothing else. And i agree not all cheaply priced hosts are bad.